A family tradition for many is Theatre In The Park’s charming musical production of A Christmas Carol. Now in its 40th year, the musical comedy added an extra performance date at Duke Energy Center for the Performing Arts to celebrate the milestone. Scrooge has been shown lots of love over the years. Ira David Wood III&apos;s beloved musical comedy, A Christmas Carol, has been performed annually since 1974 and named one of the "Top 20 Events in the Southeast." Cited as "one of the most successful shows in North Carolina theatre history," A Christmas Carol has enjoyed critically-acclaimed tours to England and France. With more than one million people having experienced the magic of A Christmas Carol throughout the years, the show regularly sells out, so get your tickets now! 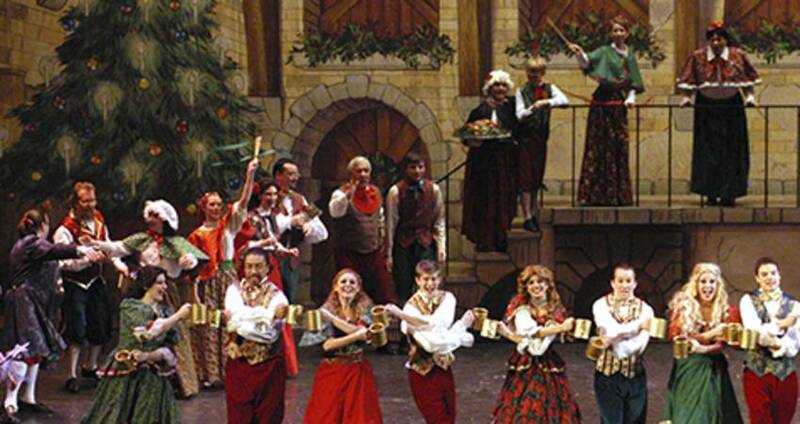 This holiday musical, created and started in Raleigh, is like none other. Dec. 7-13, 2014, is "A Christmas Carol Week." Join the celebration. Enjoy the laughs and get your family into the holiday spirit by seeing a performance of A Christmas Carol. Raleigh Mayor Nancy McFarlane has proclaimed that Dec. 7-13, 2014, shall be known as "A Christmas Carol Week" by City of Raleigh. Performances will be held Dec. 10-14, 2014. There will be four evening performances and two matinee performances. Show times are: Dec. 10-13, 7pm; Dec. 13-14, 2pm.